(MoneyWatch) Tuesday night I had the distinct pleasure and privilege of attending an extraordinary event featuring a speech by the Dalai Lama. I'm a huge fan of the man and his down-to-earth wisdom, and it was a special treat to finally be able to see him live. I was initially very hesitant to write about it in my business column, thinking I might be trivializing the philosophies of a deeply thoughtful person of global importance. I thought twice, then three times, and decided there would be no insult (certainly none intended) in sharing the message in this context and forum. Hopefully I will do it justice. My rationale for writing a business article about the Dalai Lama's speech and philosophy is that so much of it centers around human kindness, or as he put it Tuesday night, "warmheartedness." And as many of my past articles have suggested, I believe this very same philosophy is the key to running a truly exceptional business. It also seemed to be a fitting and timely coda to my last piece, about being a "mensch"in business. 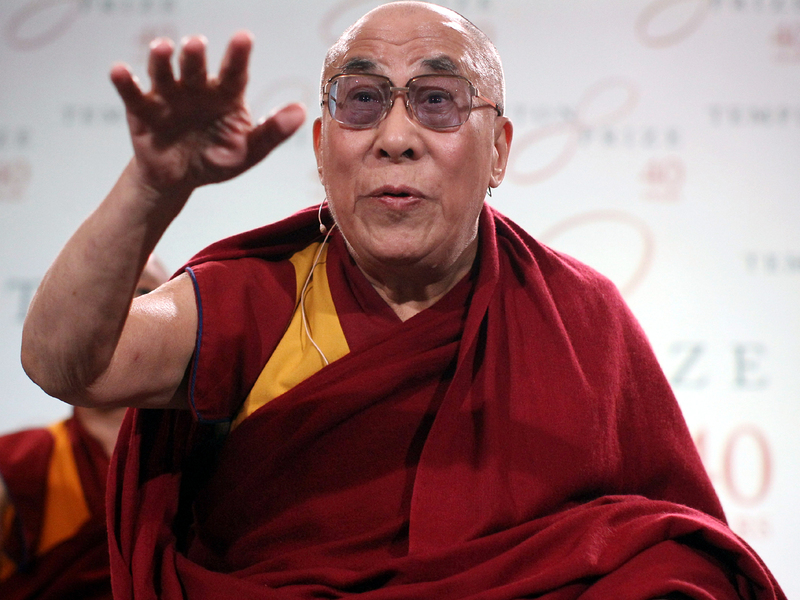 The Dalai Lama describes himself as "a simple Buddhist monk," despite that his honorific is "His Holiness." Either way, it's important to note that public talks like the one he gave here tend to have no religious overtones (or even undertones). On the contrary, his tremendous popularity and appeal -- including to me -- largely come from the fact that he reaches out to everyone, taking religion out of the equation. In fact, he stresses the importance and value of viewing human relationships through a universal, secular lens. The very nutshell version of the Dalai Lama's speech is that solutions to some of the world's biggest problems boil all the way down to the kindness and warmheartedness of individuals. That true kindness extends from the individual, to the family, community, nation, and so on. Self-centeredness and selfishness, on the other hand, stand in the way of solving problems between people, religions and nations. Sounds simplistic, especially when summarizing a one-hour talk in one paragraph, but try to poke a hole in the basic concept or its scalability -- you can't. And usually, the simplest answer is the best one. And so it goes in business. Customers are more likely to give their business, their approval and their good word to others. Employees are more likely to trust and respect their employers; enjoy their work and perform at their best; treat customers and each other well; and stick around longer. Suppliers are more likely to be supportive and motivated to provide the highest possible level of service, and to give a little extra help in extraordinary circumstances. Financial stakeholders are more likely to be trusting, patient and supportive. Certainly this last group is, understandably, driven mainly by objective facts and figures. I am a business owner and, again, I'm not living in the land of rainbows and unicorns. But "money people" are still human (despite what some may think or say), and any good banker or investor will tell you that the character of a business or owner does affect their behavior and decisions at some level. A self-centered business owner, or one who puts up barriers to trust and good faith, is going to have a harder time getting checkbooks to open. Just as the Dalai Lama's view of the world distills to the attitude and behavior of the individual, sooner or later most of what happens in business similarly comes down to relationships and transactions between people. So if a society functions best when its people are kind and unselfish, and obstacles to quality relationships are eliminated, a company with those traits will perform at its best, too.